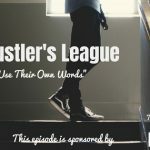 TSE 920: TSE Hustler's League-"Prospect.io"
On Tuesday I told you about a guy named Louis whose job it is to set appointments and find opportunities for an account executive on his team. The problem for Louis is that his CRM stinks, and his database is no good, so he struggled until he stumbled upon Prospect.io. On today’s episode of The Sales Evangelist, we’ll talk about how you can work smarter instead of harder, and how prospect.io can help you do business development effectively. Specifically, we’ll talk about leads and how we can get effective leads and guide people through our sales process. Ultimately, we want them to find value in what we have to offer and to become a client in the end. Louis isn’t a real person, but he represents the struggle that many sellers, including me, have felt during portions of their careers. Often sellers get hired into a company without knowing that they would have to hunt their own prospects. They didn’t know they’d have to find leads using a database from 1992. How will you find prospects and nurture them well without losing track of them because your CRM isn’t working effectively? You can personalize your outreach. You don’t get lost in the process of prospecting. It works well and simplifies your process. If you’re doing a lot of outreach, you’ll quickly realize the need to personalize it. But how will you personalize communications at that magnitude when you have to find three to five prospects per day? You’ve done this long enough to know that if you send the same boring email as everyone else, it will end up marked as spam. I’m a big believer in the platinum rule. It says that you should treat others the way you think they would like to be treated. If you think of that from the prospects’ standpoint, they are irritated by blast emails that they receive every day. Prospect.io will help you overcome that. You can go into LinkedIn Sales Navigator and pull a list of prospects based upon an email that I will send. If I’m reaching out to sales managers of tech companies in the Philadelphia area, I can use custom fields to personalize my message to that audience. If I’m reaching out to Dave at ABC Software, I can include his name, company, and something personal in the email using a custom field. Prospect.io will send out a drip campaign; an automated cold outreach process that I have customized for my prospects. It will send as many emails as I designate, though generally, you’ll want to keep it around 3 to 5. The email will originate from your account, and it will be personalized and it won’t be spam or junk. I keep mine short, usually no more than 5 sentences, and I push for some kind of action. I literally set it and forget it. I’ve also set it up with my Slack so that I’m notified when the prospect replies to an email, and then I manually take over the outreach with a personal chat. Finally, I have it set up with my CRM so that it automatically sets up a name or an account for that person. If you aren’t doing repeatable, predictable steps as part of your sales process, you’ll struggle to repeat your successes. 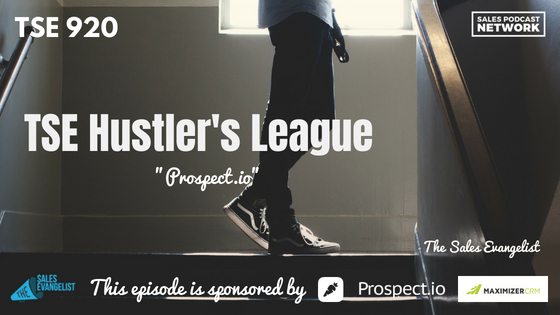 WithProspect.io, you won’t ever doubt what’s coming up next in the process or how you’ll carry it out. If you’re new to an organization, it can be difficult to track all the different processes you’re engaged in. If you send out 100 emails, how will you know when it’s time to send the second email? Instead of having to do it manually, this platform will automatically connect with your CRM and send your follow-on emails without you having to worry. The only time you’ll be notified is when your prospect actually responds. This process can keep you from missing out on opportunities because you neglected to respond in a timely manner. Prospect.io takes care of all of this for you. 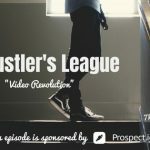 Finally, although Prospect.io wasn’t specifically created for it, the platform can help you find prospects you can pursue. If I pulled together a LinkedIn list, I can use Prospect.io to download all of those different prospects. Then I can pull their email addresses as well as data points. Those data points can be added to my campaign so I can personalize my messaging. I can make note of personal messages I’d like to send and it will send them. It saves me time scouring the Internet to find leads, and then manually sending multiple emails to those prospects. This tool can save you massive amounts of time every day. Anyone who is doing massive amounts of outreach can possibly benefit from this tool. If your prospect isn’t ready to purchase yet, you can have them go into a nurture sequence that guides them to set an appointment to speak to you. You don’t have to rely on marketing to do that. This is not a marketing system or a CRM; it’s a sales automation system. It helps you do your outreach in a bulk customized manner. It’s also capable of tracking conversion. If I link some prospects to a particular podcast episode, it notifies me as soon as they interact with my content. It allows you to follow and truly apply the platinum rule: Treat others the way that they would like to be treated. Maximizer CRMis a personalized CRM that gives you the confidence to improve your business and increase profits. Get rid of the boring CRMs and customize to your team’s selling abilities. Click on the link to get a free demo of what Maximizer CRMcan do for you. It integrates your marketing campaign as well as your CRM.